I’ve been keeping a secret from you for months. Too many times to count I’ve almost burst, and if you pay special attention to my tweets then you saw a few weeks ago what still comes as a complete surprise to me. I’m sharing my story during (in)RL this year. Not just here in words behind the screen. Oh no. Video recorded and everything, you’ll hear my REAL LIVE VOICE and see all my awkward on the screen. Not just you but women around the world. It’s crazy and ridiculous and humbling and such an honor because I feel so very ordinary. But really, that’s the point. In all of our ordinary stories there is such power, such glory. And this time around, sharing my story looked a little bit like the study room in the basement of my dorm, sitting on my sweaty hands and looking point blank into a camera… and trying to remember to smile and look welcoming. 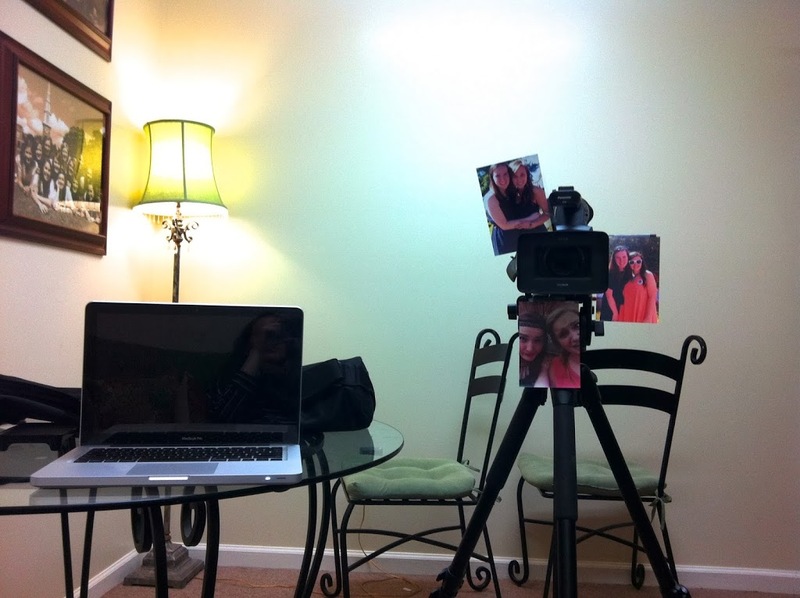 Did I mention that I taped pictures of my in real life community all over that camera? Because I am super classy that way. Let’s be honest, I knew ahead of time the camera would make me nervous and my eyes would look anywhere but where they should. Every time the nerves got to me I looked at those pictures and pretended I was re-telling my story to the girls who have walked the pages with me. I guess we’ll find out on April 25 & 26 how well that strategy played out. 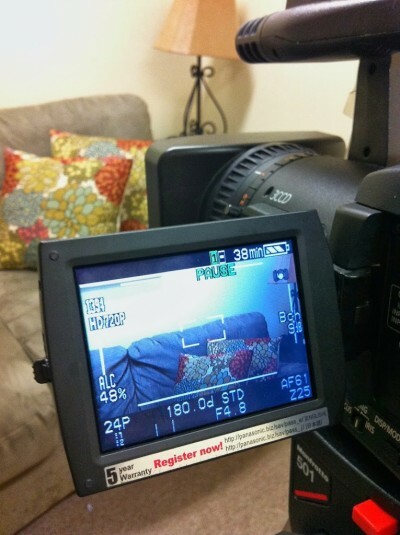 Spent the weekend filming for a big project in 2014. Needlesstosay, I’ve never felt more awkward or out of my comfort zone before. Here’s to hoping that means God is up to big things and all the glory goes to Him. It’s true. I’ve never felt more awkward or unsure while also feeling 100% certain I am right where He wants me to be. In all my un-brave I’m going to keep stepping and following whatever He places in front of me. Today it’s this, a post over on (in)courage, a preview to the (in)RL Roadshow, and all of my ordinary awkward glory on display. If I want to have community, I have to tear down the walls. Instead of building walls I need to build bridges. It’s messy and a little bit scattered, full of coffee dates and never ending to-do lists, but it’s my life and my story and you are welcome to it. On April 25 & 26, I’m throwing wide open the door to my story and my heart. It’s a little bit scary, a small bit risky, and absolutely thrilling. In May I wrote that there is power in your story and since then I’ve fallen in love with the fact that nothing brings women together and binds hearts fast like stories. This is the (in)RL Roadshow, doors open wide, sweet stories gathered just for you. If you haven’t registered for (in)RL yet, it’s FREE and super easy! You can sign up here. After you’ve signed up, make sure to join a local meet up. It’s the very best part of (in)RL, the “how” behind the “why,” the practical way to meet women in your own area as you join in community and share your stories with one another. I know it can feel so very risky. There are tons of excuses and lies, so many reasons to stay behind the computer screen and keep your story silent. But I’m asking you to risk. I’m asking you to share. I’m asking you to speak. I’m asking you to open up the story of your life and invite others into the pages. There will be underlined paragraphs and dog-warred pages you’ve loved well and read one thousand times. There will be entire chapters you’d prefer for us to gloss over, sentences scratched right out. It may feel like you haven’t turned the page in years or like your story is more of a handbook than a best seller. I’ve been there. In fact, I’m there with you right now in the middle of all your ordinary. And I’ve been there with you in the ripped pages, the reflection of a broken heart. But in all my broken places, God has turned a holey mess into a holy offering by pouring Himself right in. And now those cracks allow Him to pour right out. He is writing a best seller in you, right in the middle of all your ordinary. 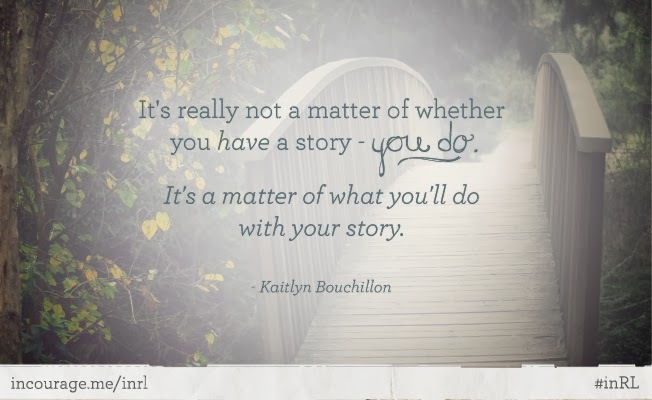 It’s really not a matter of whether you have a story – you do. It’s a matter of what you’ll do with your story. Let’s invite each other in. Let’s build bridges instead of walls. Let’s share our stories with each other. Read the rest right over here.